I hate my day job! But the jewel of the crowd has got to be the stoner. And this guy is more than just your average pothead. In fact, he is baked before he comes to work, during work, and I'm sure after work. He probably hasn't been sober anytime in the last ten years, and he's only 22. He dresses like a beatnik throwback from the 1960's, and to make things worse, he brings his big a$$ dog to work. Every day I have to look at this huge Great Dane walk around half-stoned from the second-hand smoke. Hell, sometimes I even think it's trying to talk with its constant bellowing. Also, both of them are constantly hungry, requiring multiple stops to McDonalds and Burger King, every single freaking day. 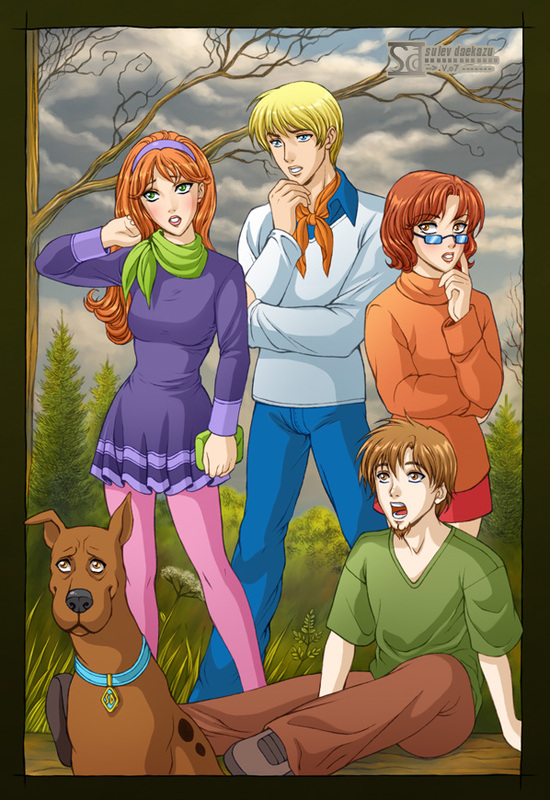 Anyway, I drive these retards around in my van and we solve mysteries and $hit. Here's a secret that may take the edge off: You *could* save a bunch of money by switching to Geico. Lmfao!!! That has got to be the funniest thing i've read in a long time. I just have to know one thing? What do you do? I'm a childrens' television character.